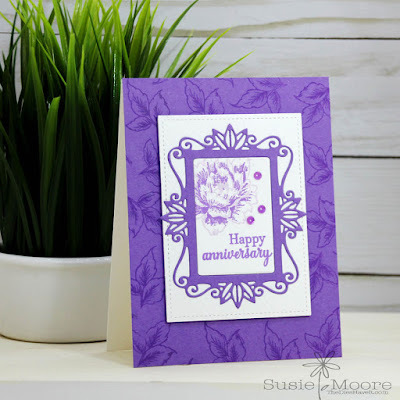 I am totally smitten with the Stippled Flowers stamp and die set that I used yesterday. Here is another look at the set in case you missed it. 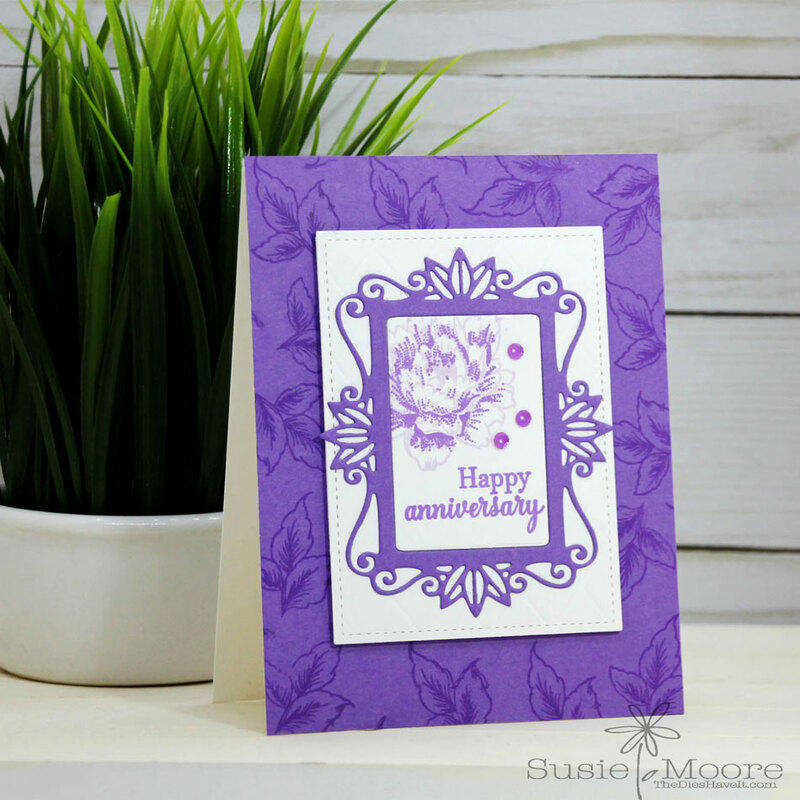 Today I paired a single layer of the rose with Gina K's Royal Frame Die and a sentiment from the set. I love the purple! 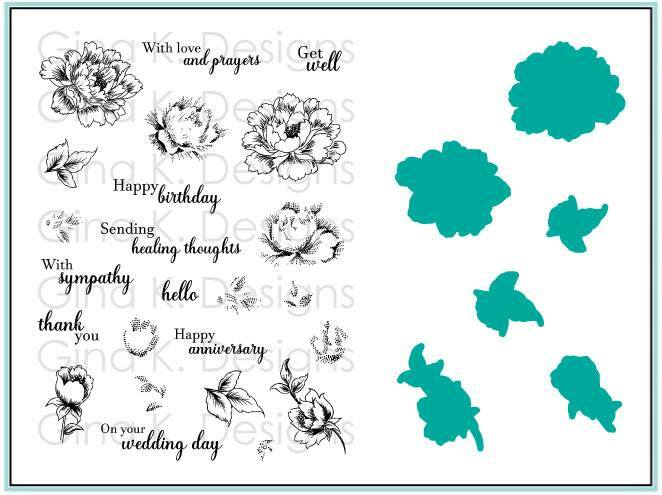 I also stamped leaves on the background for a watermark look. Be sure to check out the Gina K. Designs store to see this set. I think you will find plenty to love in the store!